Is the ketogenic diet healthy or not? 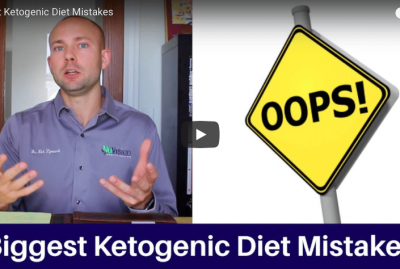 This is a video that highlights many common misunderstandings in regards to the ketogenic diet. Is the ketogenic diet healthy is a common question that we get often. Many people say the keto diet is unhealthy as a blanket statement and that couldn’t be further from the truth. There are certainly many reasons as to why the ketogenic diet could be unhealthy but in general, the average person does very well with it. So, let’s get into the many ketogenic diet health benefits. The ketogenic diet and cancer is an important topic. Simply because following the keto diet has been found to starve out the cancer making it a viable solution as a diet that supports fighting cancer and avoiding it in your future. 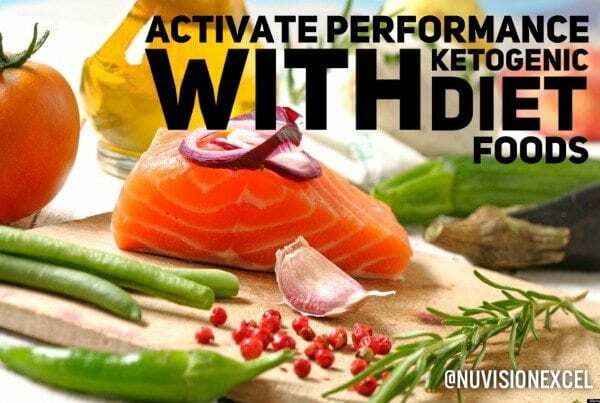 The keto diet is also an anti-inflammatory diet, which is very important for avoiding not only cancer but also health conditions like insulin resistance. The ketogenic diet and insulin resistance is a great combo as the blood sugar and insulin levels are driven down while on the ketogenic diet. The ketogenic diet and diabetes is also an important topic to consider. So many people have reversed diabetes on the keto diet after being told they would have it forever. Personal testimonials are all over of people who have gotten their life back as a result of the ketogenic diet while suffering from diabetes. Many people are concerned that the ketogenic diet will raise your cholesterol and that is a concern that takes a deeper understanding. When we look at cholesterol, it is important to understand that it is not cholesterol alone we need to worry about, but rather what is happening with the cholesterol. We need to consider partial size, inflammation, ratios of LDL and HDL. Only then can we have an intelligent conversation about cholesterol. 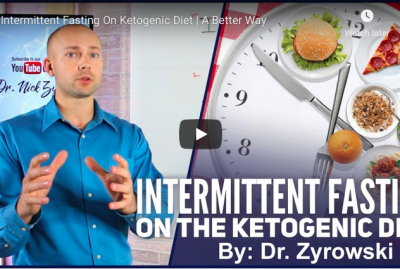 The ketogenic diet and intermittent fasting are a great combo that we should always consider as well when trying to achieve any higher state of health. 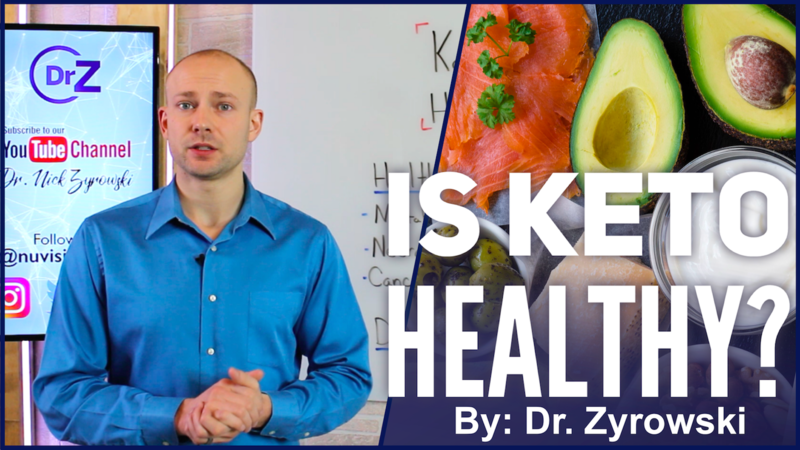 In this video, you’ll discover whether or not the ketogenic diet is healthy. 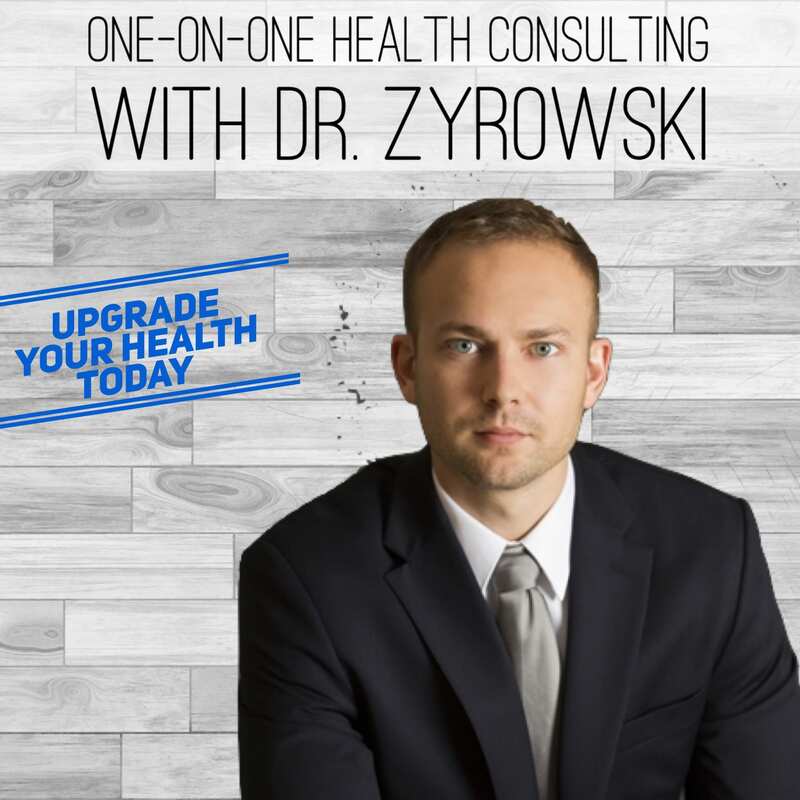 Hi ladies and gentleman, it’s Doctor Zyrowski, welcome back to the channel. If you’re new to the channel, it’s a pleasure to have you here. Be sure to subscribe, hit that download notification, join our notification community so I can help you excel your health and your life. 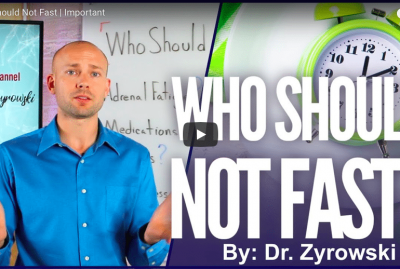 In this video, we’re talking about the ketogenic diet. Is the ketogenic diet healthy or not? This is a big question. Many people ask me when they come into the clinic, my [???] and then also a lot of people leave comments saying, “Well my doctor said I shouldn’t do the ketogenic diet because…” And so anyway, let’s go ahead and talk about some of the benefits it has to offer and then some of the common myths that many people come to me with saying that the ketogenic diet is not healthy. Health issues first. Metabolic Syndrome is a big one. If you have Metabolic Syndrome, the ketogenic diet has proven to be incredibly powerful. You have weight you’re trying to lose; if you have high blood sugar; if you have insulin sensitivity issues; high blood pressure – when we look at Metabolic Syndrome, the ketogenic diet’s very powerful at reversing this. The research shows it, but also there are so many personal stories of people going in stating that they had all the different symptoms of Metabolic Syndrome and they were even suffering for years from it. And then it went away when following the ketogenic diet. In some cases of Metabolic Syndrome, or even Diabetes, for instance, if you were on a medication like insulin, then you need to work with your doctor because following a high-carb diet while on insulin and switching to a high-fat, low-carb diet, obviously there’s going to be some big metabolic shifts in the body. We always have to consider that and work with your doctor in doing so, but it’s not a reason to not do the ketogenic diet. You just have to look at every situation and really understand what’s going on with it and if you’re on a medication, then obviously you should work with your doctor on it. Next, neurological conditions. The ketogenic diet benefits many many neurological conditions. When we look at problems like Parkinson’s, Alzheimer’s, ALS, Epilepsy, many of these neurological conditions are just shown to be totally reversed, or even the symptoms go away when following the ketogenic diet. Or the symptoms drastically improve. Neurological conditions typically do very well on the ketogenic diet. The last thing here is Cancer. There are huge benefits to following the ketogenic diet while having Cancer. Many people who have reported they’ve followed the ketogenic diet while having Cancer and it helps starve out the Cancer cells because the Cancer feeds on sugar. Basically, when we look at Cancer and the ketogenic diet, it goes very well together. Now, here’s the thing here. There’s a ton of other health conditions that the ketogenic diet benefits. 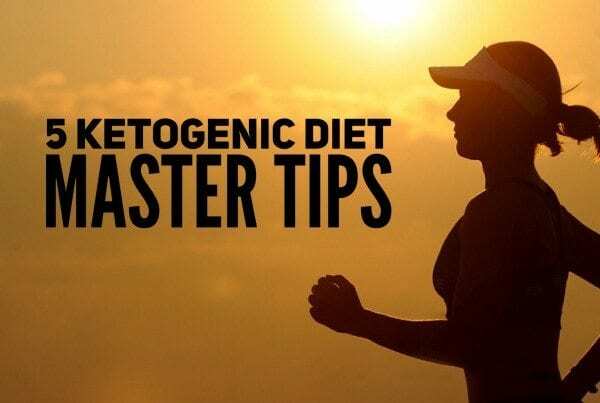 If you have a health condition and you want to know, just do some research on it, but certainly, the ketogenic diet is very, very good for many different health conditions. 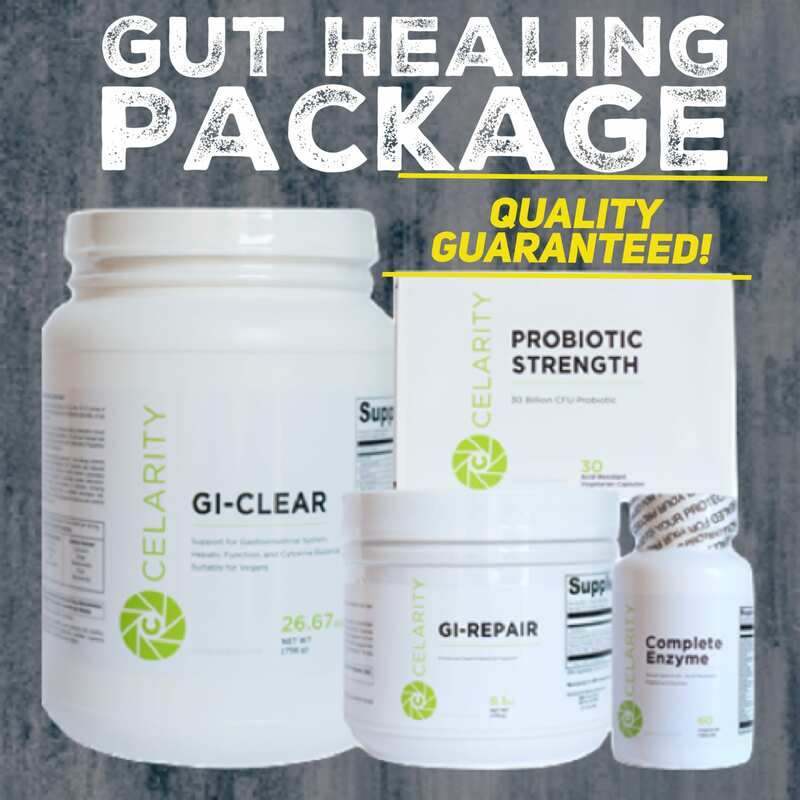 Many people say, “My doctor said it’s bad.” I hear this all the time. Many of my patients who I recommend the ketogenic diet for, they go and say, “My doctor said it’s bad.” Not, it’s logically untenable as to why a doctor would just make a blanket statement saying the ketogenic diet is bad. 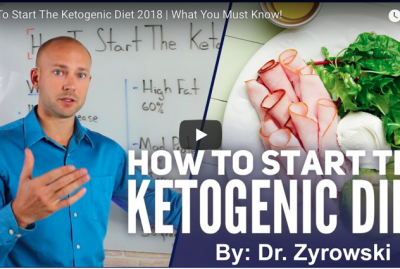 Now however, if you are someone who is suffering from a particular health condition and your doctor gives you good reasoning as to why it is not good to follow the ketogenic diet, then you should probably heed his advice. But if it’s just a blanket statement without any details and just saying it’s bad and you shouldn’t do it, then it’s probably good to do a little bit of research and maybe even do a little bit of research on finding a new doctor. We have to be careful with this because a lot of people are being told it’s bad, and in fact there are so many benefits it has to offer. A lot of people say it’s going to raise your cholesterol. Here’s the thing that’s interesting about that. If you’re just looking at your HDLs and LDLs and them going up when you’re on the ketogenic diet, yeah there’s a good chance that it will raise your cholesterol levels a little bit, but here’s the deal. When we look at cholesterol, it’s an old way of actually understanding it to just look at the numbers themselves. What you really have to look at is the particle size in the cholesterol, the inflammation, the ratios from HDLs to LDLs, the CRP. What we have to do is really look at the details of this. Just looking at cholesterol and saying, “well, it went up so it’s automatically bad, “there are so many other factors that we have to truly understand to be able to make an educated decision there. When it comes to making an intellectual decision, you have to actually really get the proper data. Next thing here, is a lot of people go and say, “It raises triglycerides.” First of all, that’s false and it’s a myth. When you’re following a high fat, low carb diet, it’s actually proven to decrease triglycerides, so it’s not something you need to worry about. A lot of people who don’t really understand it just say, “Well high-fat equals increased triglycerides.” But here’s the deal. When you look at some people who are stating that it does increase triglycerides, what they’re really talking about is consuming a high-fat diet that’s high in sugar, and high in junk food, and carbohydrates. So what we have to understand is that high-fat, high-carb is never going to be good. If you are consuming a whole bunch of sugar, carbohydrates, and a whole bunch of fat and unhealthy foods, well then yes, of course it will. But we have to actually look at what the fat is associated with. If you’re associating eating a high-fat diet with low carbohydrates, that’s a whole different scenario. That’s research that’s proven to decrease triglycerides. Once again, we have to understand that the statement that it increases triglycerides is actually a myth. The next thing that people say is that you can’t do the ketogenic diet because it dehydrates you and that it also flushes out electrolytes. There’s some truth to this, but what you have to understand is that when you’re actually going through the phase of transforming your body metabolically, from being a sugar burner to being a fat burner, there are some shifts that take place. 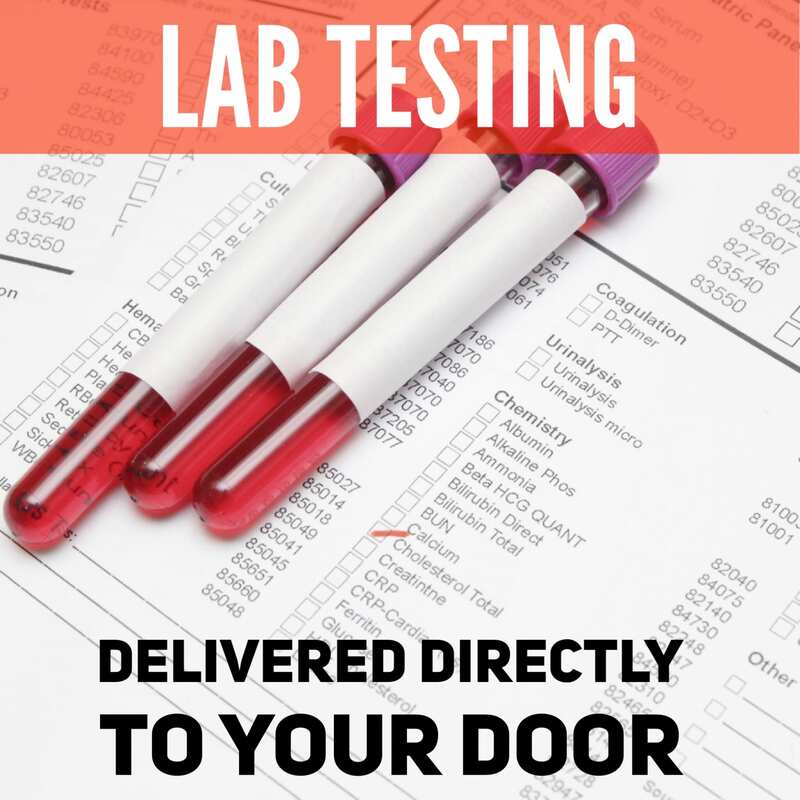 One of the things that does happen is you do flush out a lot of water and you do flush out a lot of electrolytes, but once you’re back into ketosis, or once you get into ketosis, what’s going to happen is that these things are going to start to stabilize. 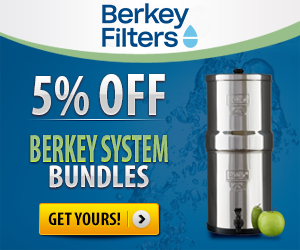 Your electrolytes will start to stabilize, and you won’t be flushing water out as much. Typically, on the ketogenic diet, you do need to consume more water and you have to make sure you’re getting the proper electrolytes. If you’re following the ketogenic diet properly and you’re eating a lot of leafy greens, you’re going to get that potassium, magnesium, sodium, calcium in good amounts because leafy greens typically have good amounts in it. When we look at water and electrolytes, once you are in ketosis it starts to balance out and then just pay attention and add a little bit more electrolytes in, and add a little bit more water in. But it’s certainly not a reason to state that the ketogenic diet is unhealthy and bad for you just for these reasons. When we look at the ketogenic diet, it’s a perfectly healthy diet to follow. When people are telling you that you just shouldn’t follow it because it’s bad for you, of course that’s false unless there’s good reason that you are being given as to like, “You have a particular condition that does not do well with the ketogenic diet.” Or you have researched it and you found that that’s the truth, then you need to make sure you are aware of that. In general, it’s a great diet to follow so be sure to give this video a thumbs up. And share it with your friends so that they know the truth behind the ketogenic diet, so that they know it’s a good diet to follow. And then in the comments section, put any questions that you have. And lastly, subscribe to my channel if you haven’t done so yet. Then check out my other videos on how you can improve your health.